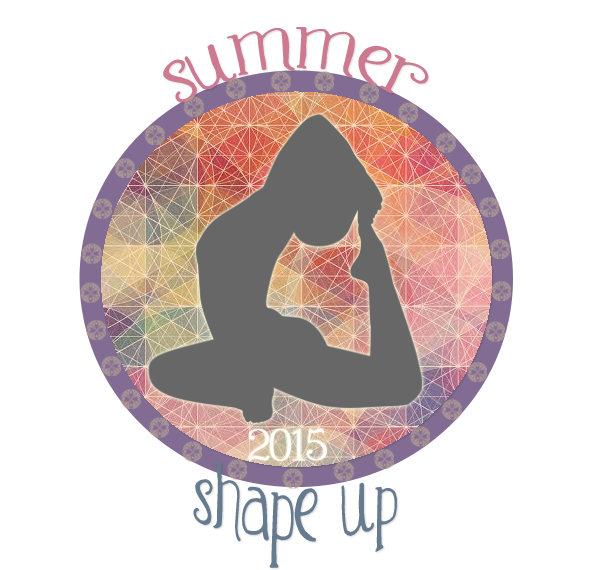 Summer Shape Up: Week 2 Update – The Small Things. How is week 2 already over? The Fitnessista’s Summer Shape Up Program is a free month long fitness program offered on Gina’s blog. 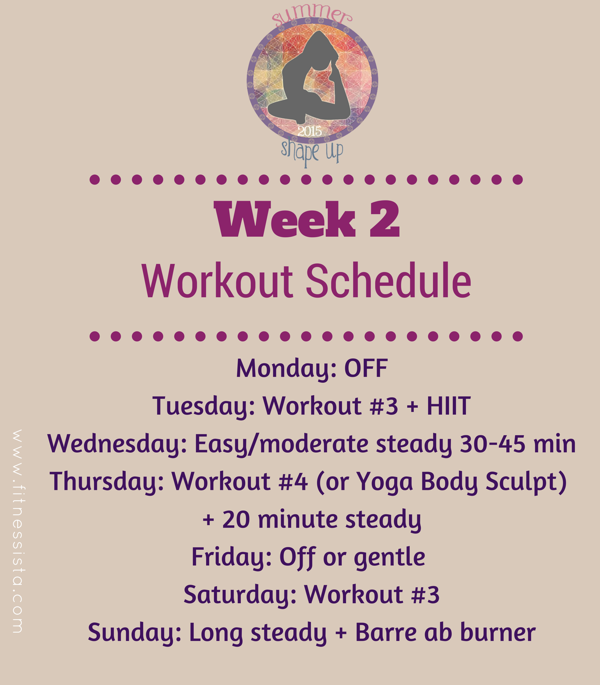 Each week she provides a workout schedule and healthy meal ideas. The idea is do what you can, when you can. Week two was great in terms of the weekdays but the weekend was not good at all.I am posting my progress each week in order to keep myself accountable, feel free to read and follow along if your interested. To access the recipe suggestions provided by Gina this week, visit her site! Breakfasts: Honestly, I’m not sure what I ate for breakfast this week. One day it was a protein smoothie popcicle, one day it was an egg, one day it was a left over quinoa burger, one day it was a protein milkshake, one day it was a cinnamon bun. This chaos was the result of absolutely no planning and a strong desire to sleep in for as long as possible. Lunches: I’m still stuck on the grain bowls, as per this recipe. This time i made a large batch of quinoa. I also baked some sweet potato. Essentially it is a layer of rice/quinoa, a layer of spinach (or whichever green leaf you like), some chic peas and whatever else I could find in my fridge. This week I used the avocado, sweet potato, tomato combo. I’m going to need to get more playful with the dressing or else I risk getting sick of the meal but it is delicious and I feel full and great after I eat it. Dinners: I had two nights of super healthy salad meals and then another night I had fried progies and another night I had cream sauce pasta… Once again a result of poor planning. Saturday & Sunday: This weekend we were up at the cottage so it was a lot of BBQ meat, bread, cheese, ect. All the things I’m trying to avoid. Delicious in the moment but I’m becoming more and more aware of how much this food upsets my stomach, so I am going to be really adamant about eating well for week 3. The week started off so well & then it spun wildly out of control. I had so many high hopes for this week and some how it just all got away from me. On Thursday I had plans to do Workout number 4, but I ended up purchasing some furniture off of a friend. She is moving and had to get everything out of the old place asap, so I went there will a trailer on Thursday night and the whole processes took much longer than anticipated. I don’t mind working out in the evening but 11 pm was far too late. Then on the weekend I was up at the cottage. The plan was to do yoga by the water, on the dock, but it poured rain all weekend. So I didn’t get the chance to go outdoors and I wasn’t going to workout in front of my family members, indoors. No thank you. So the second half of the week ended up being rather lazy. I’m really hoping to turn that around and catch up this week. My new yoga mat! Feeling so zen with the teal blue! ← Growing Up is Hard: If Not Dancer, Who Am I?